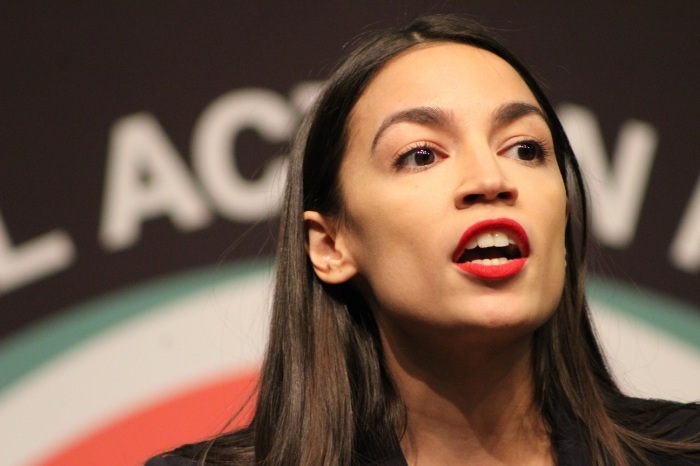 NEW YORK - Rep. Alexandria Ocasio-Cortez, D-N.Y., told civil rights activists at the National Action Network convention that radical “doesn’t mean crazy, it means …addressing the rot” as she preached the philosophy behind her radical Green New Deal as the antidote to injustice Friday. The rot, she explained are things like racism, growing economic inequality and mass incarceration. If allowed to continue unchecked without radical action, she says, it will likely end in fiery uprising. “Injustice of any kind is a lose thread on the fabric of society just waiting to catch. And it will catch if we do not address racism, if we do not address the wealth gap, the racial wealth gap; if we do not address mass incarceration; if we do not address the disproportionate mental health care within our communities; If we do not address the injustices of our immigration system; If we do not address the injustices of education inequity. These are all loose threads just waiting to catch on society,” Ocasio-Cortez said.